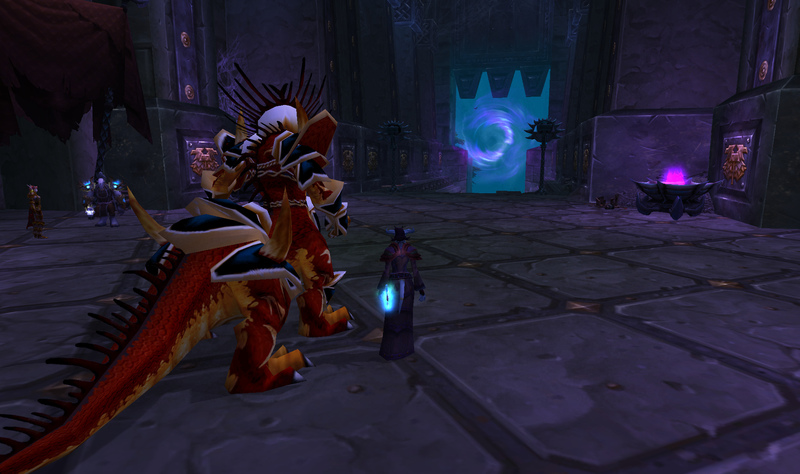 This is part two in a series of mage-specific heroic Cataclysm instance guides. I’ll be covering The Stonecore, Vortex Pinnacle, and Grim Batol. This is what my rogue friend was doing in Stonecore. I don't recommend it as a long-term strategy, though. Trash: I can’t remember any noteworthy spellstealable buffs off the top of my head, but the trash in general is annoying. The first three pulls in this instance, on Heroic, are some of the toughest pulls in any instance. Your CC will be invaluable here. Keep as many of these guys under control as possible. The trash later is a series of annoying, constant add spawns and that one guy who jumps on everyone. Just take it one pull at a time and you’ll be okay. Your biggest priority in this fight is to slam the pink shards down as quickly as possible – I find a well-placed Blast Wave + Flamestrike will pretty much handle this. What the initial burst doesn’t kill, the Flamestrike takes care of. Any similar AoE effect will do, though. The adds that spawn when he is burrowed don’t have much HP – don’t waste too much mana on them. I dispatch them with a series of quick scorches or fire blast if mana allows. Substitute your quick abilities according to spec! In terms of DPS this fight is pretty easy. You can continue nuking him for most of the fight, with the exception of the time when you must duck behind a stalactite to LoS his Crystal Storm AoE. Try to find where your healer is and stay within LoS, it will make their life easier (and prolong yours). LoS is hell in this fight for healers, they are struggling to make sure they can heal the tank, so it’s your responsibility to make it easy for them to heal you, too. Fortunately for us, we don’t have to worry about the annoying things this guy is doing to the tank. Our primary concern is making sure we aren’t paralyzed for too long. Use his Spell Reflect ability to place a DoT on yourself – the damage will break you out of Paralyze. I tend to use Living Bomb for this purpose. An added benefit (depending on your perspective) is that LB will explode on you and if you’re standing near group members, damage and break them out of Paralyze, too. This can help out healers who may not have had time to place a DoT of their own. Make sure to ask about this first, though, and if it’s not needed keep yourself far enough away that you aren’t causing unnecessary collateral damage to the folks around you. Use Mage Ward to absorb some of your own fire damage after you’re freed! It’s worth noting that his Elementium Bulwark can be Spellstolen – but be careful with this! If you steal it before all your party members can DoT themselves, you’re going to mess them up. It is nice to steal it so you can keep DPSing him, just be judicious about it. 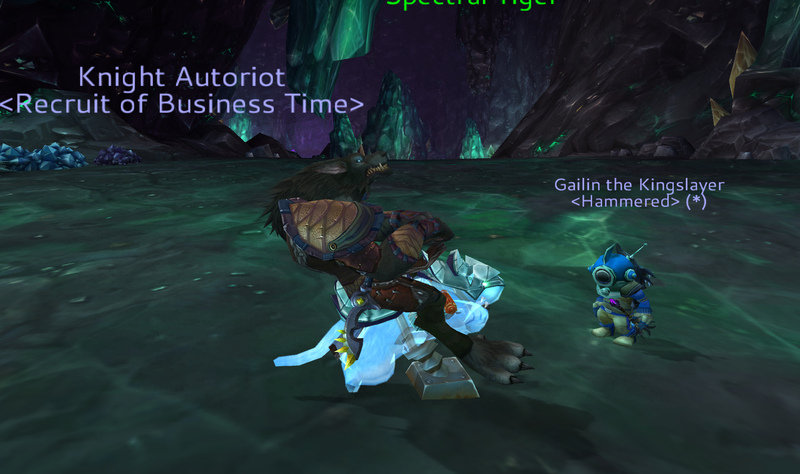 And to my guildies who may or may not have said “Where did his shield go? Crap, I’m paralyzed” – I had nothing to do with it. You can help Decurse in this fight. You have unit frames and an easy keybind set up so you can see and remove curses, right? Help lead adds into void zones if any aggro onto you, if necessary. If not – just stay out of the void zones, watch out for rocks and burn her down. Don’t expect loot, though – rumours of the cloth boots she drops are greatly exaggerated in my experience. Encounters aside, Vortex Pinnacle is visually my favourite instance so far in the game. Even running it at different times of day changes the way it looks completely. It's gorgeous! 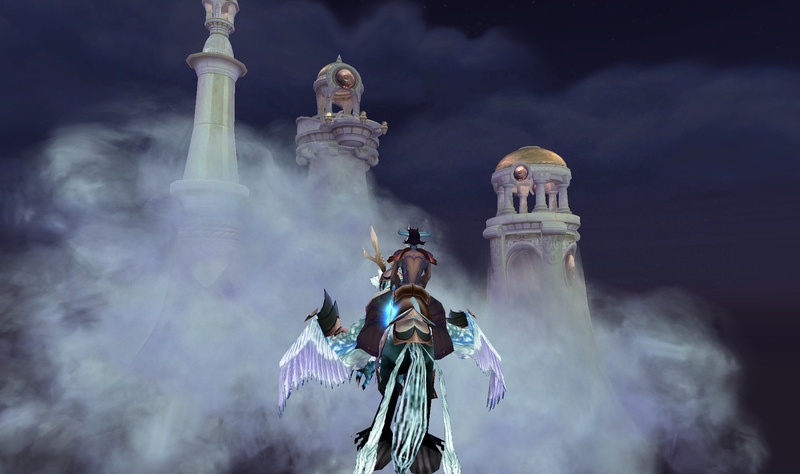 Trash: You can spellsteal Vapor Form from the Empyrean Assassins. It doesn’t increase your DPS, but it’ll help your group be able to kill them (otherwise it reduces their incoming damage by 75%). Later in the instance, watch for Hand of Protection on Servants of Asaad. It looks and acts just like the paladin version we all know and love. Standing in the exact center (inside of his hit box) will prevent you from being hit by the tornadoes. If your DPS seems to need it (or if your healer is having trouble with the AoE damage) you may use Time Warp, but I prefer to use it for Altairus. Remember that because you are in melee range, you don’t have the threat buffer you ordinarily would at range, so keep an eye on your threat. If you pull aggro, nothing’s going to save you from being a mage-shaped splatter on the ground. Advanced blinking skills come into play here. You can blink to get upwind more readily but be careful not to do it straight into a tornado! They’re always moving around so this is a tall order. You may find it safer to just run. If you’re able to stay upwind of him for any significant length of time, the fight should be fairly short and sweet. Time Warp can be used at any time when your group is situated appropriately. The more folks benefiting from both it and the upwind buff, the better! In the heroic version of this, the range for his chain lightning is ridiculously huge. It’s serious business. I was used to blinking to safety to avoid chaining it, but this requires a bit more finesse. Blink is still very useful for getting into his electricity triangles, even if you do get a chain lightning. Don’t use Time Warp during one of his “in the air” cycles because it can be tough to get LoS on him properly (he flies up), but you can keep DPSing him if you back your rear up against one of the points of the triangle. Just don’t go too far. Immediately after an air phase would be a good time, if you don’t have Temporal Displacement from the previous fight. You can jump to avoid his Static Cling spell before it finishes casting. This isn’t mage specific, except you know what Static Cling can do to robes, right? Don’t be a fashion disaster. I used to feel that Grim Batol's only redeeming factor was the amount of cloth that drops here. Now I think its only redeeming factor is the sword I got here, AND the amount of cloth that drops here. Trash: The trash here is unique in that the red dragon flight at the beginning of the instance can make it ridiculously easy. If your party is skilled, you can bring all of the groups along your “path” to very low-health without killing them – so much sweet, sweet rep! If you have a tank that is a huge fan of CC, remind him gently that while a mob is polymorphed, it regenerates its health. Polymorphing something that is more than half dead is counterproductive when a few solid shots would just kill it outright and get it out of the way. We have no excuse to ever get hit by a Blitz here, it’s so easy to blink out of the way. Someone (and it may be a mage) is going to be in charge of handling the purple troggs. You have to hit them with enough burst to pull them away from the tank, but not kill them before they’ve come towards you – if they are killed within his range they’ll enrage Umbriss. (This is an achievement, but not to be attempted unless everyone in your party is prepared for it). They don’t have a ton of health so it’s pretty easy to pull and kite them if necessary. Alternately, sheep the purple trogg and just keep an eye on it for the fight, just be sure to have your tank positioned away from their spawn point so you have enough room to work with. Umbriss enrages at 30% of his health and you can’t avoid it. Use Time Warp here to get this burn phase over with as quickly as possible. His sword phase doesn’t have much of consequence for you – he’s hitting the tank hard, though. During his mace phase, use blink to relocate strategically and avoid his fire trail. Your biggest concern in this phase is to not pull aggro. Your tank will be kiting him, and he won’t be generating as much threat as usual. I tend to use Invisibility near the end of this phase, just to be on the safe side. His shield phase includes a brutal fire AoE cone that is targeted on a person. Collapse on him and remain behind him as you DPS to avoid fireballing yourself in the face. Use Mage Ward to give yourself a bit of leeway to move out of the cone when you see it coming your way. When/if Time Warp is used will depend on your group and which phase is giving them the most trouble. You want to push him out of his most difficult phases as quickly as possible – Sword (if the healer is having trouble healing massive tank damage), or shield (since it damages the whole group) but not mace since threat is already more likely to be an issue in this phase. Your mission, should you choose to accept it (and you really don’t have a choice) is to burn down Invocations of Flame before they reach whoever they are targeting. You can use Blast Wave to slow them, or Slow, or Frostbolt, whatever your flavour of magic. They don’t have a lot of HP, but watch for them and if one is spawning near you, blink to safety before attacking it. That’s the only specific mage thing I can think of, apart from the “don’t stand in fire and dragon breath” caveats that apply to the whole party. When we run this, it’s the task of all ranged DPS to sprint back towards the door (yes, blink!) and get ready to slow and burn those adds before they hatch any eggs. For frost mages, Cone of Cold is best for this, as a fire mage you can drop a Blast Wave that will hit both of them and slow them significantly. Then hit it like you mean it! This is another easy heroic achievement to snag because it just means doing your task well. If you keep his adds from hatching any eggs, you win! That’s three more heroics covered. In the next part I’ll be talking about Halls of Origination, Lost City of the Tol’Vir, and possibly Deadmines and Shadowfang Keep, depending on length. As always, if you’ve thought of or know of any tips or tricks I didn’t mention here, please share them in the comments and I will add them! Many mages are better than one.